To protect your rights we only accept Paypal payment. 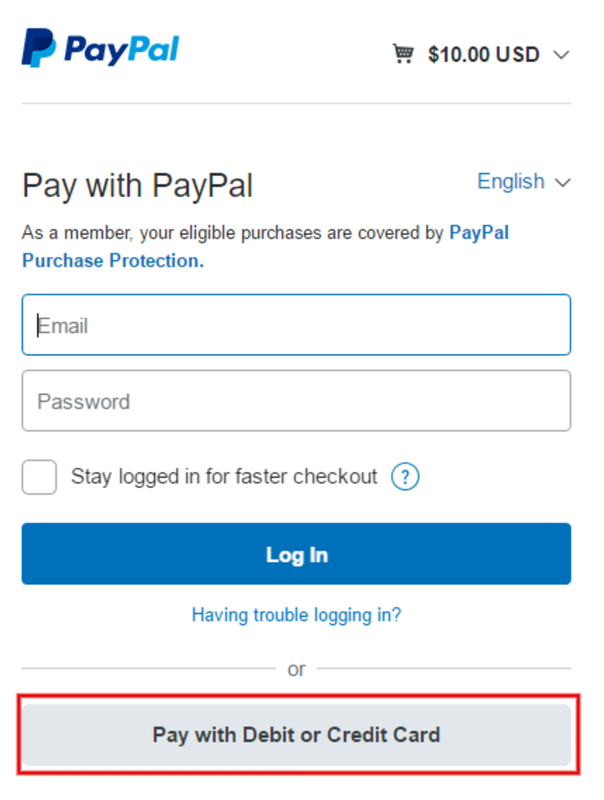 * You can pay with PayPal even if don't have a PayPal account, as long as you have a debit or credit card. The standard view is the one displayed below. Yet, after being prompted to log in to an existing PayPal account, many don’t look further. If you want to pay with your credit card without signing up on the page, you should do that though. Click on “Pay with Debit or Credit Card”.